Water Tank 5100 Litre ideal water storage tank that can be used for domestic, agricultural, industrial and commercial use. The Ecosure 5100 litre water tank comes fitted with a 14" or 16" screw down lid and a 1" or 2" BSP fitting located at the bottom of the tank inline with the lid. 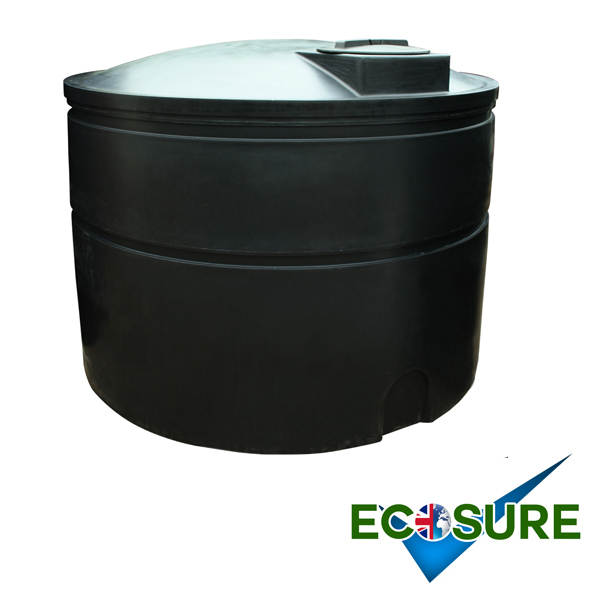 The 5100 litre water tank is a popular rainwater harvesting tank that is designed by Ecosure. It is low in height making this water tank ideal for easy filling and easy tank access for pump installation.